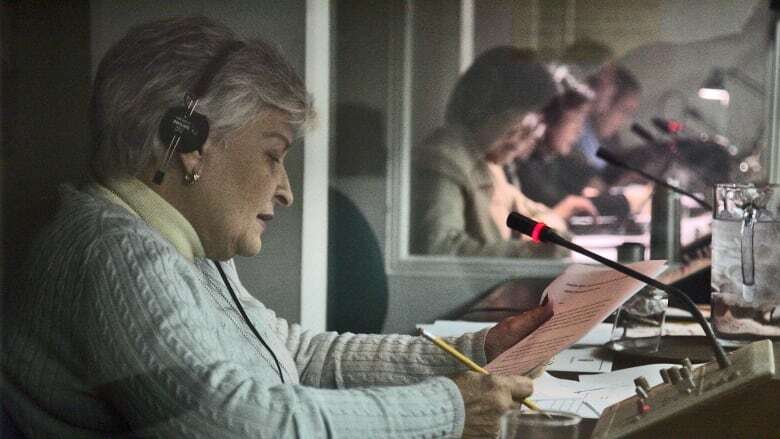 As leaders gather for the United Nations annual General Assembly debate in New York City this week to outline their visions for the world, many will be listening to their words through the voices of interpreters. This can lead to some tricky — even comical — situations when issues of syntax, idioms, unknown words, accents and speed are at play. Interpreter Anne-Catherine Boudot was a little confused as to why a speaker was repeatedly bringing up sea shells during an international gathering in Geneva, but she dutifully translated it into the French coquillages. "I spoke for a good 20 minutes," says Boudot. "All of a sudden my colleague looked at me and said 'I think they're talking about the Seychelles.'" 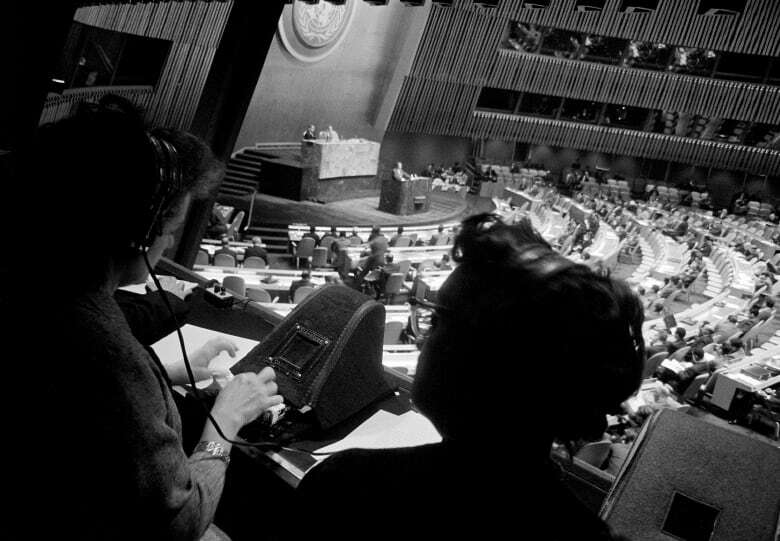 As leaders, old and new, gather for the United Nations annual General Assembly debate in New York City this week to outline their visions for the world, many will be listening to their words through the voices of interpreters. This can lead to some tricky — even comical — situations when issues of syntax, idioms, unknown words, accents and speed are at play. This week will mark Boudot's ninth year covering the gathering, which she says is both an exciting and tense time for the UN's interpreters. They stay on 24/7 standby and can be assigned to cover any number of events including the speeches by world leaders in the General Assembly hall, or one of the hundreds of meetings, side events and conferences that take place during this leaders' week. "You are aiming for 100 per cent accuracy all the time," says the head of the UN's interpretations service, Hossam Fahr. But, "all interpreters are human — and to err is human." Prime Minister Justin Trudeau will make his debut at the General Assembly this week, as will the United Kingdom's Theresa May. The 71st General Assembly will be the last for United States President Barack Obama before he leaves office. UN Secretary General Ban Ki-moon will also make his final address before his second five-year term comes to a close at the end of the year. During this leaders' week it's "all hands on deck," says Fahr. 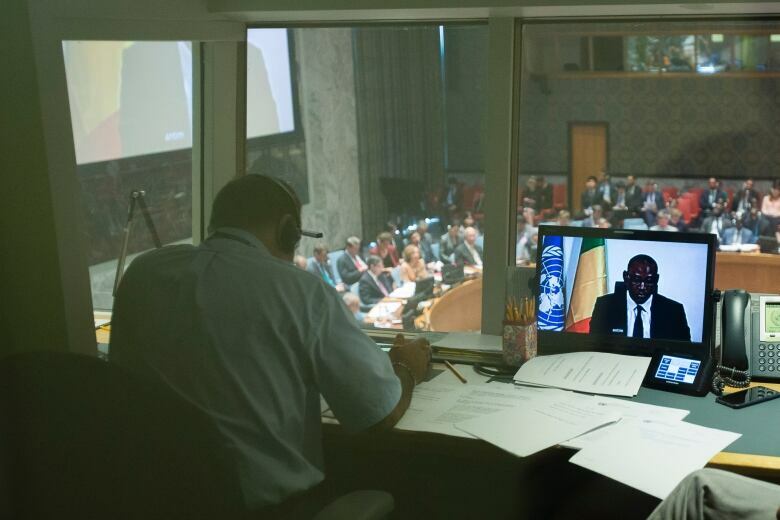 There are 128 interpreters for the six official languages of the UN — English, French, Russian, Chinese, Spanish and Arabic — but during peak times, such as the General Assembly itself, that number can swell to 200. "We get freelance interpreters and interpreters from other duty stations, from Geneva, Vienna, Nairobi." 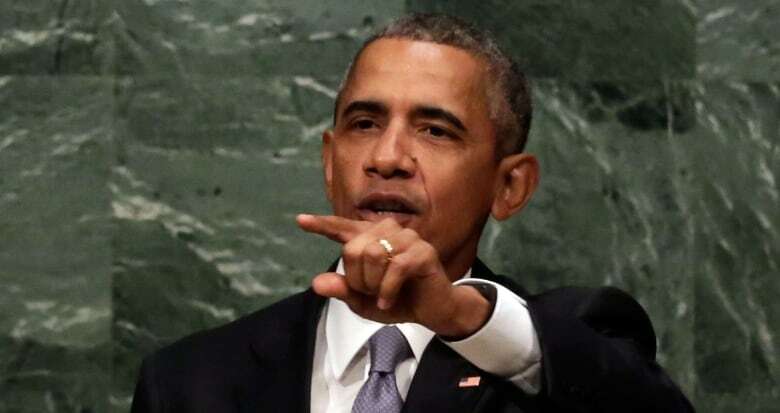 Leaders can also opt to bring their own interpreters, as Moammar Gadhafi did in 2009 for his first appearance at the UN after 40 years in power. 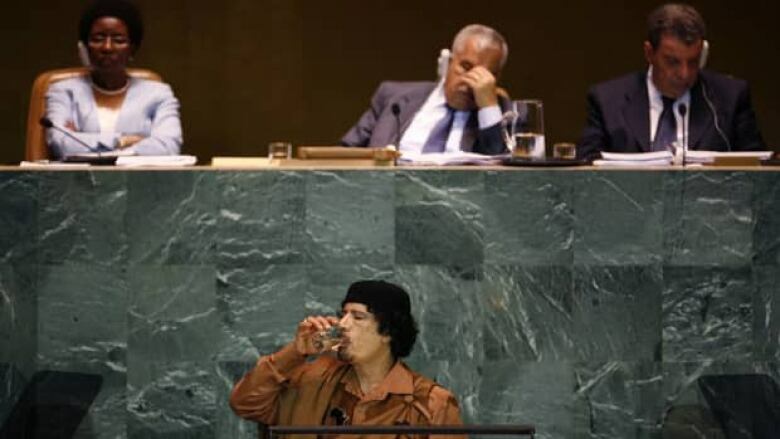 The Libyan leader delivered a meandering speech that went on for more than 90 minutes instead of the recommended 15. After about one hour the interpreter "cracked up completely," says Fahr. "He said in front of the live microphone 'I can't take it any longer,' so one of our interpreters had to step in and relieve the interpreter brought by Mr. Gadhafi." But words and meanings can still get lost in translation no matter the precautions taken, the preparations made or the experience of the interpreters. A good interpreter must "never let the words get in the way of the message," says Fahr. The goal is to keep the meaning intact, which he admits can be tricky when it comes to humour or when you're dealing with a word you've never heard. During one Security Council meeting where Fahr was interpreting from English into Arabic, the speaker used the word "propinquity." "It's an English word which means proximity, but I had never heard [it] before," says Fahr. Most interpreters can guess the meaning by the context, but he says in this instance it was a "stand-alone" word leaving no clues to the connotation. "What do you do in that kind of situation? You keep the dignified silence," says Fahr. "You don't attribute to the speaker something they did not say." Incorrect attribution can still occur even when the interpreter is familiar with the word, however. During his very first meeting as "a full-fledged interpreter" at the UN 34 years ago, Fahr was interpreting from Arabic into English in the Special Committee on Decolonization, when he said "the exploitation of small nations is one of the lofty goals of the United Nations Charter." The delegate had actually said the "independence" of small nations. "The two words are very, very similar in Arabic. There is a difference of one sound," explains Fahr. Humiliated, he quickly corrected his mistake, but also fell a full sentence behind the speaker. "He finished and thanked the chairman and started collecting his papers while I was still valiantly trying to finish what he had said." And even interpreters have their mental blocks, as Marianna Matakova with the UN's Russian section can attest. She dreads covering discussions related to agriculture because of one word — fertilizer. "This is something that my brain just simply refuses to remember," says Matakova. "If I am in a meeting and I know it might come up I really have to write it down in front of me." Matakova, who has been an interpreter at the UN since 2006, says that while the General Assembly has its challenges — added security can be overwhelming and she sometimes has to arrive more than three hours early for meetings — it also gives her the feeling of being "in the middle of world" with a bird's eye view on how international politics works and how deals are made. The job also comes with perks, such as in 2010 when Matakova got to see Queen Elizabeth at the UN. "That was a very special occasion," she says. Hossam Fahr admits there was one time in 1994 when he became "misty-eyed." 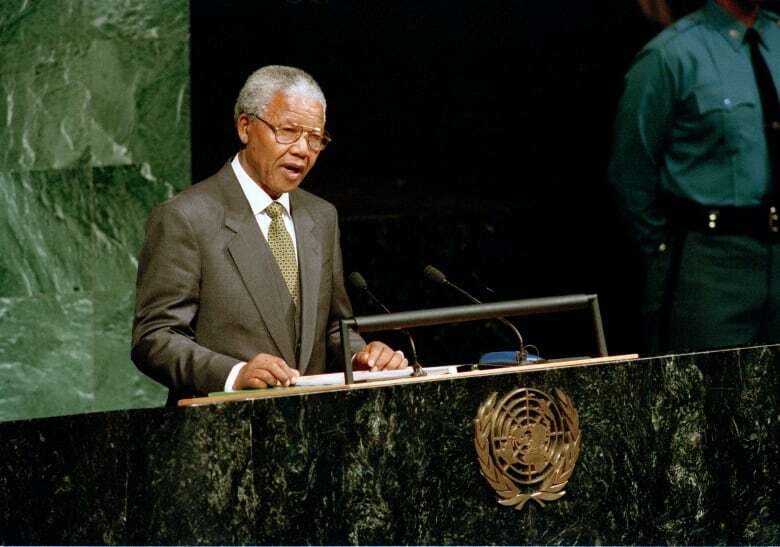 "I had the great honour of interpreting the first statement made by Nelson Mandela at the General Assembly," after he became the first democratically-elected president of South Africa. Fahr describes the speech as "completely out-of-the-ordinary" for a world leader — filled with tolerance, openness and forgiveness. Particularly gratifying for Fahr was the knowledge that he was interpreting Mandela's words for the 22 Arabic-speaking countries of the world. "You feel very proud when you know they are hearing Nelson Mandela through your voice."